Here's a video from Mikael-Colville Andersen on why we should not wear helmets to bike. I am a firm believer that you should wear a helmet to ride. While there is certainly a sizable minority that disagrees with me, most folks, including potential jurors, feel that the prudent course is to wear one. Certainly, no one will hold it against you if you do. The bottom line is this: Riding in the city is dangerous, period. So wear a helmet. 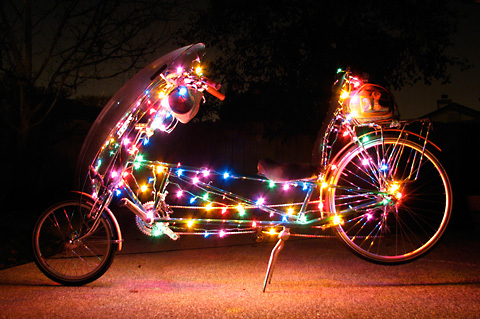 However, it is not so dangerous that you should avoid riding all together. The middle path people; take the middle path. The video is via Momentum Magazine, via Urban Velo. 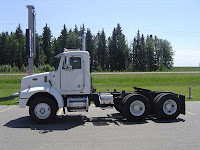 A United States Postal Service semi trailer ran over and crushed the foot of a 22 year old female bicyclist on July 13, 2011. 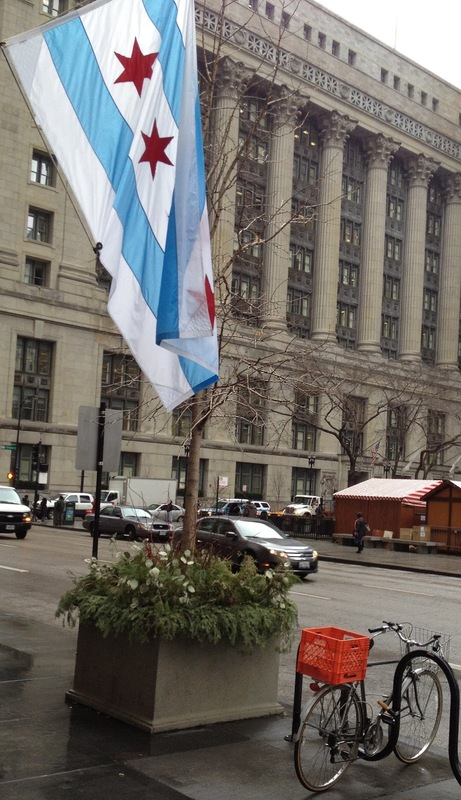 My law firm is representing the injured bicyclist, a student at the University of Illinois Chicago. The incident occurred at around 6:15 p.m. on a pleasant summer evening at the intersection of West Taylor Street and the 90/94 westbound entrance ramp. The bicyclist was riding along the right side of the roadway on westbound Taylor Street one her way home from the lake front's 12th Street Beach. The postal truck was also traveling westbound. The cyclist saw the truck put on its right turn signal so she came to a stop along the curb. As she stood there, the truck made an exceptionally sharp right turn, the tires of the rear bed actually coming up onto the curb. At the same time, a part of the truck bed grasped a part of the bike, dragging it and the rider around to the right several feet. When the bicyclist came unattached from the truck its wheels ran over her left foot, crushing it. The bicyclist was rushed via ambulance to the nearby UIC Medical Center. 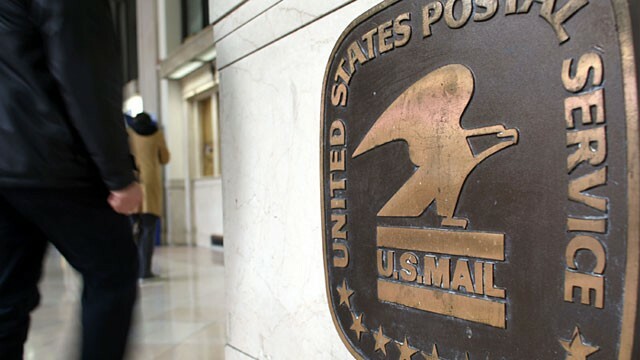 My firm will be pursuing legal action against the USPS via the Federal Tort Claims Act, filing the necessary Form 95 as quickly as possible. 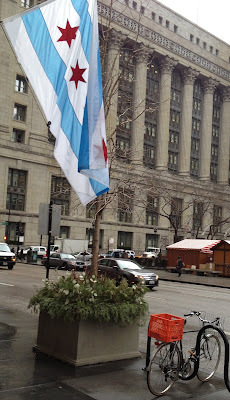 2012 is going to be an exciting year for my law firm and for the The Chicago Bicycle Advocate blog. Stay tuned. . . 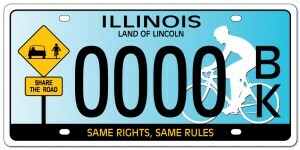 Finally at least 1500 Illinoisans have reserved "Share the Road" license plates. 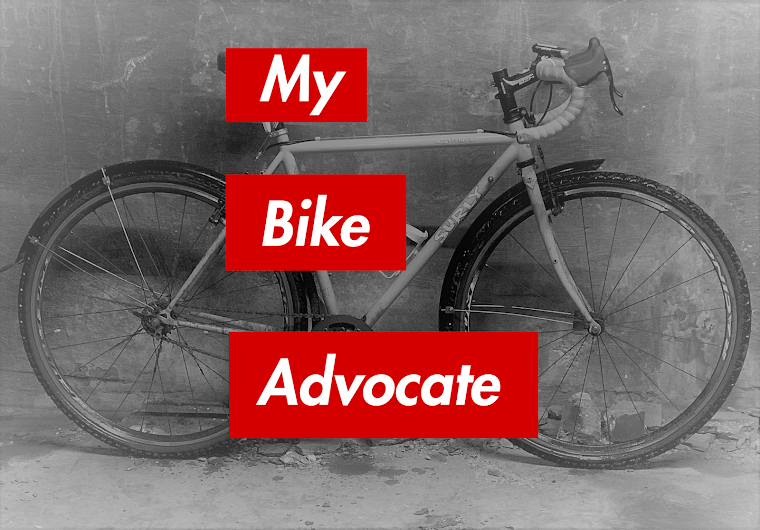 Production can now begin on these plates which promote bicycling awareness. Due to what the League of Illinois Bicyclists calls, "a lengthy design approval and production process," it is projected that these plates with hit the back end of cars in five to six months. Thanks to all who ordered one. If you haven't yet, please do so. Eight year old Mariela Crisostomo was struck so hard by an SUV while she rode her bicycle back on June 14th that horrified witnesses saw her propelled underneath a parked car near her Chicago Lawn home. The driver sped away, not stopping to give aid or assistance. Mariela died of her injuries about 12 hours later. Now, Chicago police remain on the driver's trail and are looking for Lakeith Morgan, 23, in connection with the incident, according to The Chicago Tribune. 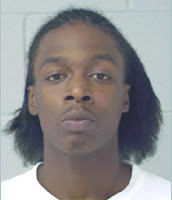 The Tribune reports, "Morgan is black and stands about 5-foot-9 and weighs 160 pounds. His last known address is in the 3000 block of West 64th Street, just blocks from the site of the collision." Anyone with information about Mr. Morgan's whereabouts should call Police Major Accident Investigation at 312.745.4521. A 58 year old man was killed on Tuesday evening after being struck by a large truck while riding his bicycle in Champaign. Michael J. Costa III was killed at the intersection of Market Street and Anthony Drive by a 2005 Peterbilt 330 truck being driven by Thomas Pelmore, 63, according to The News-Gazette. Mr. Costa was "semi-responsive" at the scene, but was pronounced dead about 45 minutes later at Carle Foundation Hospital in Urbana. It is not clear how the accident occurred, or even in which direction Mr. Costa had been traveling prior to impact. The Champaign County Coroner, Duane Northup, speculated that, "The driver of the vehicle may not have seen him. It was dark." The News-Gazette reported that officers at the scene described the bicycle as "smashed and heavily damaged on the front end." The driver of the truck was not ticketed.